Include all current PS4 updates, future DLC to be free. The PC version of New Gundam Breaker will launch via Steam on September 24 at 3:00 p.m. PT / 6:00 p.m. ET, Bandai Namco announced. PC players will finally be able to build their own Gunpla and experience the thrill of the large scale robot warfare. The PC version will include all current PS4 updates (up to patch v1.04). Additionally, players will also be able to fight with their favorite Gundam in two brand new battlefields: The Class Room and The Student Boardroom. Customization is one of the main features of New Gundam Breaker, as players have the opportunity to create, style and then use their own Gundam models based on their favorite mechs. All the future downloadable content will also be free of charge. Making this the perfect game to build your dream Gunpla, personalize it and jump into epic battles! 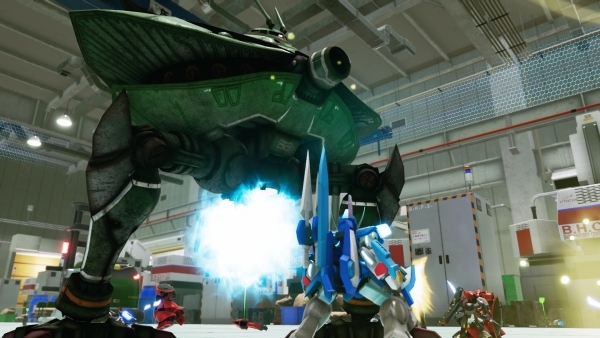 New Gundam Breaker first launched for PlayStation 4 on June 21.